Justin Gilmer graduated from Rutgers in 2015; his advisor was Michael Saks. 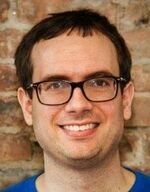 He lives in Mountain View, California and is a researcher in Machine Learning at Google. He loves hiking, biking, and the free food at work. Michal Koucký received his Ph.D. in Computer Science from Rutgers in 2003, where he was advised by Eric Allender. After having great time as a postdoc at McGill in Montréal and CWI in Amsterdam, he moved back to his home town—Prague. 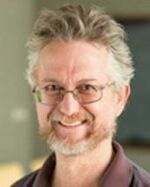 He spent almost a decade at the Institute of Mathematics of the Czech Academy of Sciences, and then came back to his alma mater, Charles University. He is interested in various aspects of theoretical computer science but he also loves programming. He is always amazed by beauty that can be found in math and nature. Mike Saks received his Ph.D. in Mathematics from M.I.T. in 1980, where he was advised by Daniel Kleitman. He was a postdoctoral fellow at UCLA, and held positions at Bell Communications Research and the Computer Science and Engineering Department at UCSD. 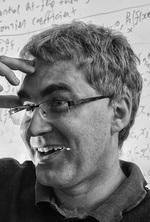 He has worked in a variety of areas in theory of computing and discrete mathematics: lower bounds for data structures, circuits, communication complexity, branching programs and decision trees, streaming algorithms, sublinear algorithms, satisfiability algorithms, online algorithms, distributed computing, and derandomization, and extremal problems for graphs, hypergraphs and partially ordered sets.